We have profound knowledge in the development of feature-rich, HTML5.0 compatible iPhone and iPad applications. Today as the boundary between desktop and mobile has started vanishing, we could see transition of web developers from previous HTML versions to this HTML5 a cross-platform technology that has several new features to support all modern browsers & functions on all mobile devices. 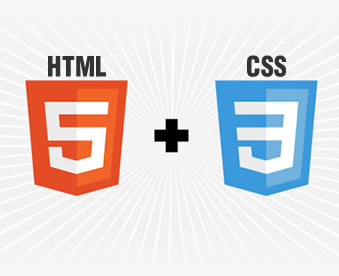 HTML5, is the advanced version of HTML web technology that address the needs as well provide users with the ultimate viewing experience in reduced development time. Its reduced development time , offline catching capability, increased semantic value, compatibility with the iPhone and iPad, Android, Windows, Blackberry devices, cleaner code that’s is optimized for search engine readability has made it the most mobile-ready development language for developing mobile sites and web applications. Our designers adopt this HTML5 technology trend to develop pixel perfect, feature-rich HTML5 compatible Web & iPhone and iPad applications. With profound knowledge in this, we embed video, audio, charts, animation and many other rich content which can perfectly meet your business needs besides enhance user experience. With years of experience in the industry, we have proven track record of creating visually appealing design, fast-loading, cross-browser compatible responsive websites and interactive mobile applications in quick turnaround time. With the rising need for responsive design, the adoption of the language will continue to increase. If you need our team of HTML5 developers to convert your existing website to responsive, or develop applications that are user friendly, reliable and cost effective or want to outsource your HTML5 application Development tasks you can get in touch with us. The market for the iPhone and iPad web apps is expanding rapidly and considering the growing demand for CSS3 based mobile application development we at ANGLER provide technology-driven mobile application development that meets the strategic objectives of our clients. CSS3 is the technology behind most of the eye-catching visuals on the web today. Using CSS3 Web developers can easily create rounded edges on borders on Images, navigation items, tabs etc. With CSS3 we create web apps that interact much like native apps. By using this advanced web technology developer can exploit modern browser capabilities while providing more basic content to older browsers. ANGLER has been developing iPhone and iPad apps for quite a while and now by using more advanced web technologies like CSS3. With advanced features of CSS3 for graphics we can deliver an immersive app experience to iOS users. By making use of its cutting edge features we have created compelling mobile web experiences for iPhone and iPad users. Our expertise in mobile app development and CSS3 web development helps us create feature-rich CSS3 compatible apps for the iPhone/iPad. Our highly skilled mobile developers can build cost effective and secure mobile applications at fast turnaround time.